The Master / Teacher Degree is predominantly for the purpose of becoming a teacher and to train courses and workshops of your own. On completion of this two day course you will be able to initiate students into levels I and II of the Usui System of Natural Healing, along with the Advanced and Master/Teacher Degree. However, it is recommended that you wait at least two years before teaching others at the Master /Teacher Degree whereby you will have learned some 'hands on' experience facilitating a class. The class is taught as the Usui style of Reiki as taught by Mrs. Takata. You will also be introduced into other symbols, including two Master symbols. The training is intensive and very thorough and you will learn the requirements and responsibilities of being a Master/Teacher. All issues and questions are dealt with openly in a very helpful and informative way. All attunements are explained, demonstrated and practiced so that each student becomes confident in their use. The Master / Teacher Degree course is for those who feel guided to take on the responsibility to mentor and guide others in a professional class environment to become healers and/or practitioners. The Master / Teacher Degree course will teach many facets of what it takes to become proficient as a teacher and the expectations and ethics conducive to being a Master Teacher. You will be qualified to teach your own classes and initiate students into all levels of Reiki Usui Shiki Ryoho. It is expected that you teach for a minimum of at least two years to gain experience in teaching classes before teaching other students into the Master Teacher Degree. What are the prerequisites for the Master / Teacher Degree Course? The prerequisite is the completion of Levels I & II, and that you have been an active practitioner for at least 24 months. It is also encouraged that you complete the Advanced Reiki Degree training to give you an in-depth knowledge of advanced Reiki techniques along with advanced metaphysical subjects and emotional intelligence training to enable you to be a more proficient mentor to your students, along with enhancing your own personal development. Private mentoring may also be arranged leading up to your teacher training and you may also be required to attend several training workshops prior to taking the master teacher course, depending on your level of experience in a teaching / mentoring role. We understand that each person has their own journey, and ultimately it is the commitment to practice and do one’s best to live by the Reiki Principles that lead toward mastery – not of Reiki, but of oneself. With the above in mind, and you feel that teaching is for you and are confident to take on the responsibility for mentoring others, a private interview can be arranged for further discussion. 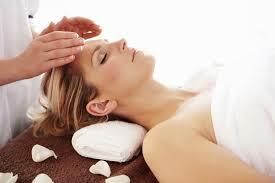 Acceptance of your master teacher program will be at the discretion of the Reiki Master/ teacher. Where is the Master / Teacher Course location? What is the cost of the Master / Teacher course and what is included? The cost is $2000.00 and you will receive a Certificate of the Master / Teacher Degree of the Usui System of Natural Healing on completion of the course together with an extensive manual to include step by step guidance on how to teach a class, laminated attunement sheets, handouts, and student manuals for Levels I & II in pdf format. Note: a payment plan for this course can be arranged - conditions apply. Morning and afternoon refreshments are also provided. What is the duration of the Master / Teacher course? When is the next Master / Teacher Degree Course held? How do I book for the next Master / Teacher Degree Course?